Here because we love it. The minute you walk in, you can tell the difference between The LAX Shop and a big-box sporting goods chain. You notice murals on the walls, depicting the history of the game of lacrosse. Then, you see the state-of-the-art shooting cage equipped with a radar gun for checking speed and accuracy. And it doesn’t take long for you to realize that the staff really knows their stuff. We know lacrosse. In fact, we’re passionate about the game and play or coach it every chance we get. We offer equipment for all skill levels—from beginners to advanced players. You can count on us for gear that kids can afford so they can begin to play and for the best fit for more experienced players. Our goal: To be sure that, when you leave, you’re completely satisfied with your gear and know exactly how to wear it and use it, safely and successfully. Often called “the fastest game on two feet,” lacrosse is a sport that’s exploding in popularity across the U.S. and across the state of Illinois. In metropolitan Chicago, especially, we’re seeing major growth in the youth leagues. Yet, until we arrived on the scene, there was no place that offered the specialized equipment and knowledge needed by lacrosse players, coaches, and teams. We know how important proper helmet sizing is for helping to prevent concussions and we can make sure you get a safe and comfortable fit. We’ll also make sure that your shoulder and arm pads fit correctly—and that your gloves fit for optimum stick control. And we’ll go the extra mile in providing you with a good stick by making sure that it’s strung properly. You can then go into the shooting cage and try the stick out to assure that stick is for you. The LAX Shop is the brainchild of Justin Smith, one of the original all-American high school lacrosse players in the state—and a 3X all North Coast Athletic Conference player and captain of the Denison University team. While at Denison, Justin was known as the “stick doctor” by his teammates. His passion and love of the game inspired his teammates and the student body. He currently serves as the goalie coach of the lacrosse team at St. Ignatius College Prep High School in Chicago. He also makes time to coach Chicago Youth Lacrosse (CYL), a youth lacrosse league for boys and girls that helps spread the growth of lacrosse in downtown Chicago. Justin resides in the city with his wife Margie, daughter Ainsley and son Bo. 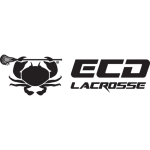 The best in men’s lacrosse equipment and gear. The best in women’s lacrosse equipment and gear. Everything you need for you or your team. Gear and accessories at prices you can’t beat. Custom gear designed specifically for your team.